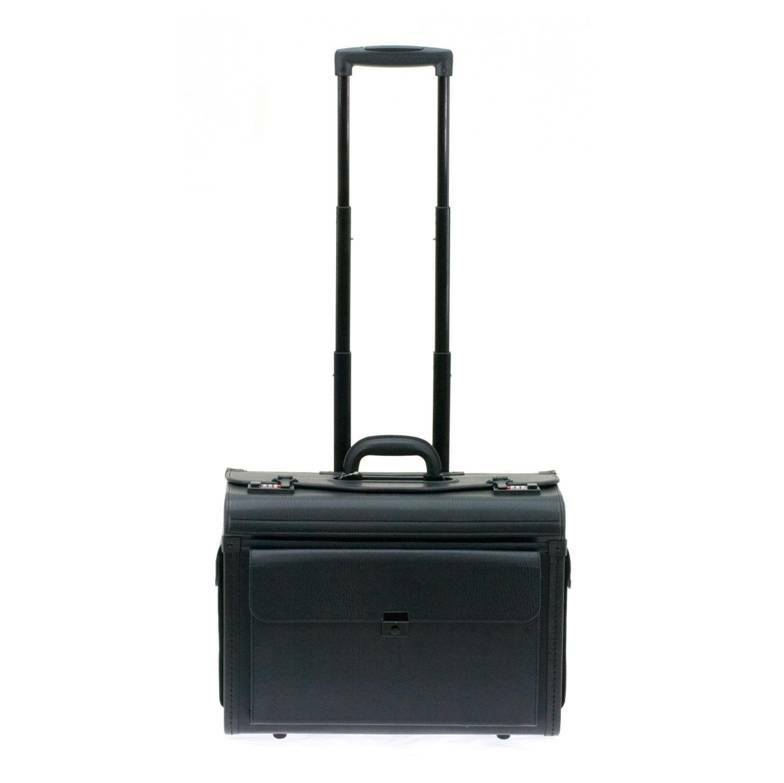 Pilot-Case with castors and telescopic arm and handle. The main compartment is closed by 2 code locks and offers 17 'computer storage, a central space to transport a large number of files and a traditional side space. 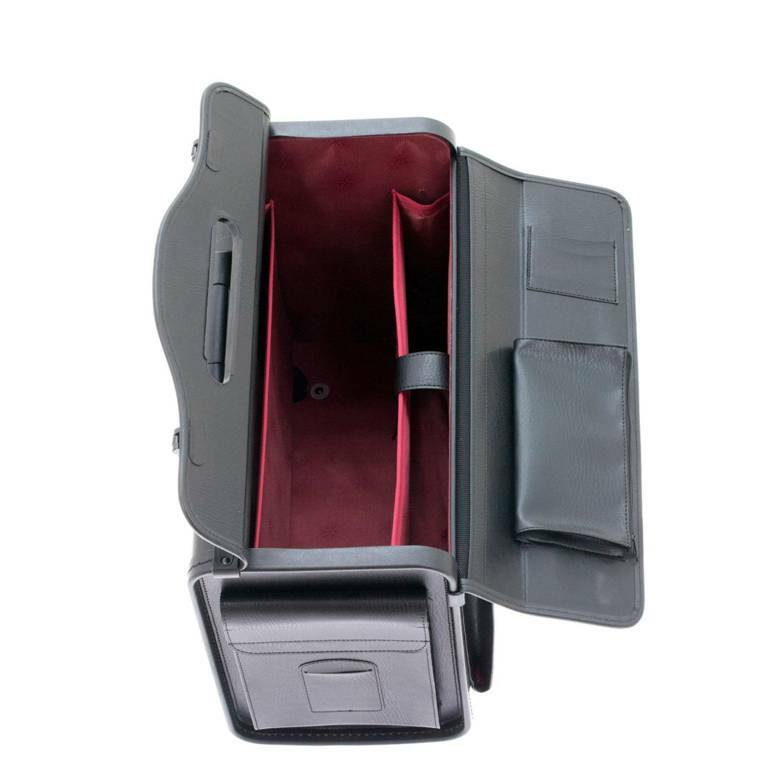 One of the two lids that close the item is equipped with a card holder and a zipped pen tray. On the front side, a large flap pocket with a lock is available. 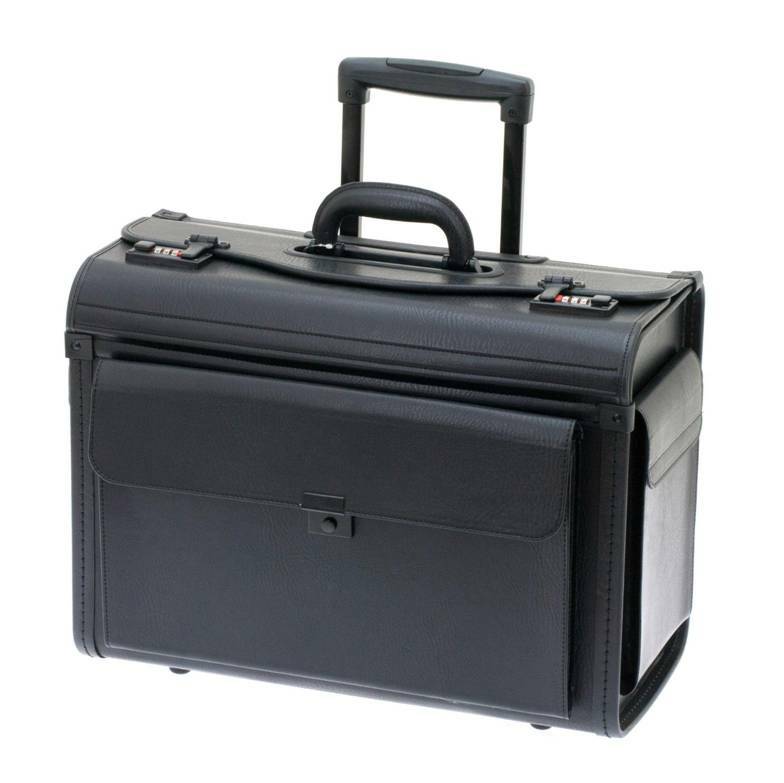 On both sides, the pilot-case is equipped with a flap pocket closed by a scratch closure.